Content is just words, isn’t it? Well, to a degree, yes. But it’s about how you use those words and how you broadcast them to your audience. There isn’t just the concept of ‘one type works every time’ – you need to curate varying types of content to cater for the wants of the reader and allow them to gain the information they desire. But it isn’t a case of pistols at dawn, content type vs content type. 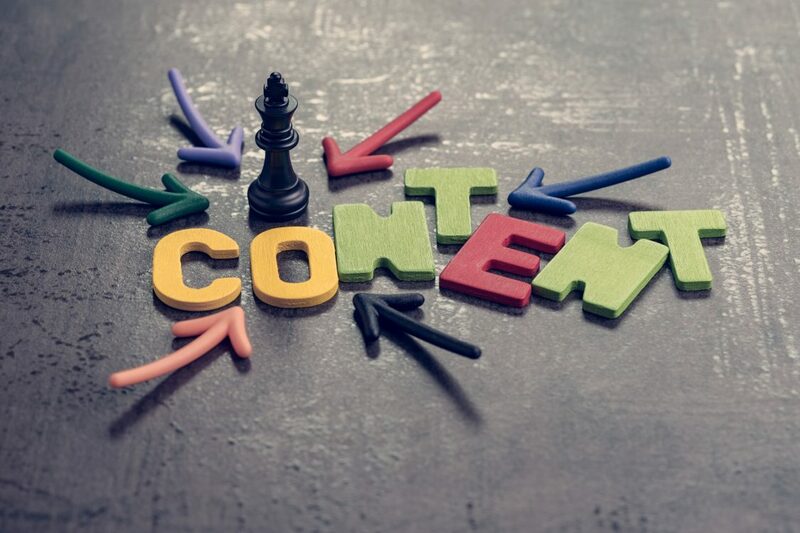 Utilising an integrated content marketing approach using the varying visual and written methods can help you build a strategy to engage, interest and inform your target audience. The first port of call on this content voyager is the humble blog. Providing valuable blog copy within your content marketing strategy can help bolstering your position from an SEO standpoint, both improving rankings and driving organic traffic. It allows for keyword optimisation, and for both inbound and outbound links to drive authority. Blog content also provides you with a platform to inspire your readership – something especially important in the ultracompetitive B2C marketplace. With blogs though, the one thing to be wary of is becoming a sheep. Your competitors may have written about certain topics or themes, so make sure you aren’t like the flock and follow suit. Create engaging, unique content and become the shepherd of your industry. The blog’s older sibling. Choosing a long-form approach in content marketing is the perfect way to creating informative guides to position yourself as an expert in your field and give you that much-needed authoritative voice. This is a much longer piece of content in comparison to a blog – you’d be looking at anywhere upwards of 2,000 words for long-form content. The use of chapters and pages on separate URLs is crucial to this form of content marketing – firstly to help boost the user experience and make it easy for them to find the information they desire, but also to help from a search standpoint. A great example of long-form content is ‘The Beginner’s Guide to SEO’ by all-things-search guru Moz. Plus, making the long-form content a subscribe-only read can help you win new sign-ups, to whom you can push your sales message. What’s the best way to showcase how good you are at what you do? By telling people exactly what it is you do, and just how well you do it. Case studies may seem a tad academic (any former student will vouch for that, trying to find something to back up their ‘idea’ at 2am in the library), but these are a different form of written content. Through pin-pointing success stories, client recommendations and moments of sheer glory, you’re showing your audience exactly what you are capable of. This not only allows you to smugly show off how good you are, but also gives potential new business an opportunity to take in your work. Working well alongside case studies, utilising interviews is an effective way of positioning yourself as an authoritative voice. This can work in two ways: you can be the interviewer or the interviewee. If you’re the one posing questions to brands and affiliates you work with, there can be an immediate lift in your status and stature in your sector – especially if these partners come with big reputations. However, by having a member of your team or organisation be interviewed on a specific topic or subject within your sector, you allow yourself to be positioned as a thought-leader. In a football-based analogy, you become the Cruyff, the Maradona, the Pele, the leading name – the rest might as well be playing for Doncaster Rovers Reserves after seeing your commanding opinions (with no disrespect to Donny, of course). Like socks with sandals, tables full of data just aren’t a good look on a page. They become difficult for the reader to follow, digest and understand what the list of numbers actually means, but choosing an alternative will be applauded by your audience. Instead, opt for a visual representation of those stats in the form of an infographic. This is a wide-hitting term, so you can go from something as simple as a chart or something more in-depth such as world map to depict the message you’re trying to get across. Hit the nail on the head with these and you’ve got a shareable asset that could gain that viral buzz online. A pinnacle of visual content, videos are a fantastic way of engaging and informing your audience – something which in the modern age of technology, the written word sadly may not do. According to research by WordStream, viewers retain 95 per cent of a message when they watch it in a video compared to mere 10 per cent when reading it in text – a huge difference which only highlights the significance of video in content marketing. The naysayers among us will think “yes, but video content is very expensive”, but for videos to be successful, they have to be seen as a long-term investment. A rule of thumb – the better the quality, the better the results you’ll see. The final stop on this whirlwind adventure of words brings us to the whitepaper. An excellent asset for any brand, the use of a whitepaper in content marketing is to highlight a problem (for example, the need to optimise content) and offer actionable solutions (for example, find out your keywords, look at the meta data, etc). These need to be jam-packed with info, showing there is method in the madness you are suggesting – it’s all about the detail. Whitepapers have to be structured to ensure the solution is being showcased in the easiest way to digest, and because of the amount of information likely to be included, you’ll need a table of contents. The time and effort may be greater than putting together a blog or long-form article, but whitepapers can help build respect and authority, and become a magnet for new business leads. Need help setting your content marketing strategy? Here at Brand8 PR, we have extensive experience in creating the right content to fit the right brand. Get in touch today for more information.